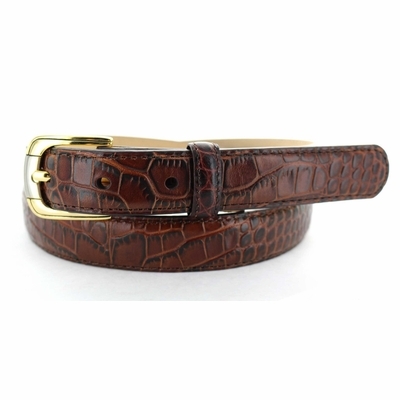 Gold and Silver plated Buckle on a Fine Italian Alligator embossed calfskin belt strap, lined with soft genuine leather. 1 inch wide. Questions? Comments? Prefer to order over the phone? Call us at 714 572 3903 .